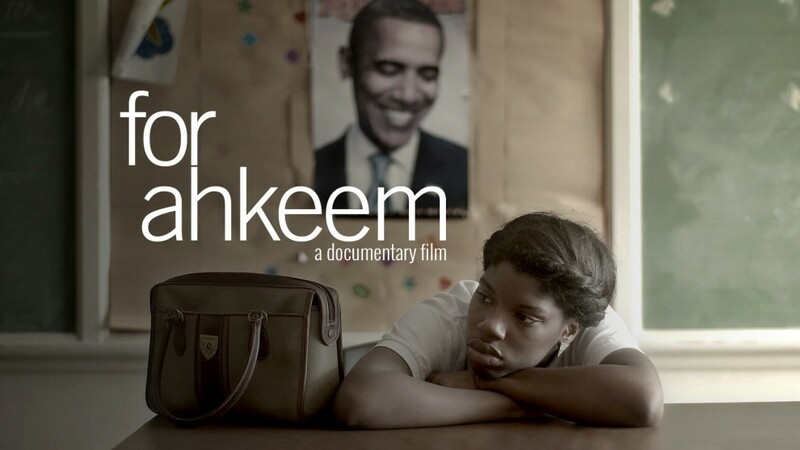 Wednesday, Feb 27, 2019, 6 – 8 p.m.
For Ahkeem explores the complex web between juvenile justice, education, and institutional racism through Daje’s vital but rarely heard perspective as a teenage girl and as new mother contending with the challenges of raising her son. Daje exemplifies the awareness and insight many Black teenagers bring to the unique challenges of their lives; how they are in constant dialogue about how to process, survive, and transcend the violence and other systemic obstructions put in their paths. Through Daje's inner world and day-to-day experiences, For Ahkeem provides an important window into the complexities of growing up with this trauma, and aims to highlight the urgent, devastating consequences of being a Black teenager in America today. Co-hosted by the Department of Geography Diversity Committee, Social Justice Film Institute, Pop Up Justice, School of Social Work, Child Welfare Training and Advancement Program, and the Departments of American Ethnic Studies and Law, Societies & Justice.